So my research began in April 2016. I am originally from UAE but now living in the UK, I am 29 and had been Slowly losing my hair for about 12 years, mainly from the crown region and of course receding from the sides. I always preferred having slightly longer hair than wearing it short, covering up the bald spots with more length. I was a norwood 3-4. I contacted several places in London first and set up a consultations at different clinics. Which were very nice and very professional. They offered me 2200- 2500 grafts for £8,000 more or less and asked me to come in again a year or so to get another 2000 grafts done. It's a lot of money, so I investigated some high end reputable clinics in UAE. After sending my photos into about 6 different clinics in Dubai and Abu Dhabi, I narrowed down my options reading websites, forums, different types of hair transplantation. Once I had narrowed down these, I started to look into the smaller details such as, price, customer care, reviews, and B/A photos. It is not easy making a big decision such as this but there can only be one winner, which for me was Hair Transplant Dubai Clinic. After sending in my photos for consultation I got on whats app with one of their representatives. She asked me how many grafts i wanted and what technique should i opt for. I had to stop her and clearly say that I had no idea how many grafts I needed and which was the better option for me. She sent me a graft calculator link which is pretty easy to use, after that i had somewhat clearer picture of how many grafts would i be needing. You can also use it here... https://www.hairtransplantdubai.com/graft-calculator/ Then i was put through a phone call with Dr Cagatay Sezgin who was very pleasant to talk to but I may have felt a bit unsure at first with what was being said and what I needed. Then the clinic whats app me photos of before surgery and at 3 month stage after the transplant. I was so impressed with his results and the way Dr Sezign and the staff at the clinic spoke to me, they really sold it to me. On arrival at Hair Transplant Dubai Clinic I was taken to the reception where i was handed a questionnaire. They took my blood tests and also extracted some from our arm so they could formulate the blood for the PRP injection. Then I walked into Dr Sezign office, we spoke about my objectives, hairline, main goals and expectations. Dr Sezign also showed their gallery of B/A photos of previous clients scalp's just after the FUE operation and how their hair had turned out. Dr Sezign explained that he would try and place as many grafts on the crown area but admitted that I may not have enough grafts in a single session so would expect the crown area to be less dense. I accepted that this would be the case as I was a Norwood 3/4 so would need two transplants for maximum effect. He then drew hairline markings on me and also drew on my donor area and then it was off to the photo room for before pictures taken. After this I was taken to the wash room to have my head shaved. The procedure: Step 1 - PRP injections - it hurts a little but this lasted 10 seconds and only two injections were used. Step 2 - The Anesthesia - I got about 10 of these all around the head. it wasn't painful at all. Step 3 - Extraction of the hairs from donor area - There was no pain at all. they constantly asked at the beginning, if there was pain and if there was any discomfort they would pump it up with a bit more anaesthetic. When the head is totally numb you really feel nothing. Some moments I started snoring as the anesthetics kicked in and I was that relaxed. Step 4 - Opening implantation canals with incisions - Dr Cagatay Sezign was very attentive during this very important procedure and it was almost like a ritual where silence fell, everyone stopped talking and were intently waiting for the Doctor to finish his work of art. The incision process is the most skill required part of the transplant procedure and it not just about sticking holes in the head, getting the density right, the direction, right width of punches from the FUE motor, all these factors are of utmost importance. Step 5 - Once the incisions were made I was let out for a little break at the reception area and given lunch, which I devoured quickly, because, I was so hungry. But I'm not sure why I was actually gagging up on sugar, I don't normally have a sweet tooth. Step 6 - Returning to the surgery room I got back on the bed, I was so relaxed, lying on my back. I drifted off making snoring noises while the final stage of planting all my grafts into the incisions was initiated. 7 hours through the surgery I was finally released, given instructions and was on my way home. After Surgery: First two days were a little uncomfortable, i had this urge to scratch my head at times, but i abstained from doing so. Few tips that may help some of you that have already decided to get a hair transplant: 1)Invest in a proper neck support pillow. You are going too need it. Although i was given a complimentary inflatable support pillow by Hair Transplant Dubai Clinic in order to sleep vertically at an angle at night it felt a bit constricted around the neck. 2) Donor Area is tender and recovering at first, So do not worry if you notice something unusual after waking up the first morning after the procedure. My bed pillow and neck pillow were a bit stained with blood, I was worried but later told this was completely normal. Be prepared and cover the pillows with some towels. 3) Do not try remove or adjust your headband no matter how tempting this may be. 4) Eat hearty - Make sure to have a good breakfast and lunch following the days after the procedure. 5) Have a list of pre-prepared questions ready to ask your surgeon before the treatment. It is easy to forget some questions you have on the day due to nerves, So its best to write them on a paper. Take your time and research everything you need to know. I have nothing more to add about Hair Transplant Dubai Clinic for the time being, apart from the fact Dr Cagatey Sezign was a professional gentleman and he was very kind and supportive, never pushy or unrealistic. An honest Dr and I respect his practice. The team at Hair Transplant Dubai Clinic all knew what they were doing and were very calm and comforting. Thanks to all who were there in my surgery and who placed all my little new friends on my head. All I can do now is wait for the results. I will try to post my before and after pics in 3 months or so. Good luck everyone with finding the right HT surgeon for you! Hi, I got a FUE transplant of 1500 grafts done. The donor area patch is off-centered and visible after day 11. Will this patch cover up ? Will i be able to keep the current length hairstyle or no? Was the harvesting done properly? Please help! 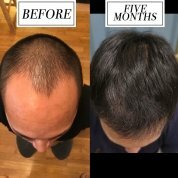 I am planning a 2500 grafts FUE hair transplant at the Absolute Hair Clinic in Bangkok in August and have been researching Dr. Laorwong's work. 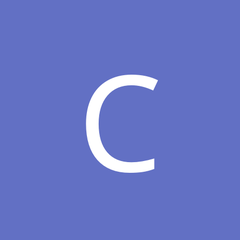 I have seen a few positive result of his work on this forum and have not been able to find any bad reviews. I tried to book Dr. Path which is recommend by this forum, but he did not have a available date for me, which would fit my Thailand vacation schedule. Actually it seems like Dr. Laorwong has done documented (counting pictures on clinic website) more FUE than Dr. Path. 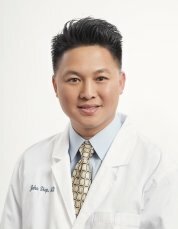 I would like to hear from anyone else who had good or bad experiences with the Absolute Hair Clinic (Bangkok, Thailand) / Dr. Kongkiat Laorwong? Hi all, First of all thank you very much for taking time in sharing your experiences and reviews. I'm long time follower of this forum and have finally decided to take the plunge. Will appreciate if you can advise on below. Thanks in advance 1. On a scale of 1-10, how satisfied were you with your result vs expectation? 2. Do you believe 2-3 weeks is good enough time to recover and go back to work with not enough people able to suspect HT? 3. Did you face any post op complication? 4. Are you aware of anyone of his patients with unsatisfactory result? Any details or forum link to review? 5. Are the results anywhere near what the clinic have posted on multiple forums? 6. Any other thoughts / suggestions you'll like to share? Warm regards! Dr. Robert Leonard - Reputable? Heyo all! So I never posted a thread dedicated to my HT immediately post-op, as I made the decision to gather some pics documenting my journey first. But now that I'm 2 Months out, it's time to get this show on the road! My hair story is probably like many others before me. I used to have a perfectly straight immature hairline that was dense and coarse as a mofo. I NEVER thought I'd have MPB, as my Mother's side is pretty set with hair, and while my Father is about a NW4, HIS father died with a full head of hair (NW2 max). Add the fact my hair characteristics are completely different from my pops (his hair is very fine, straight and oily), I was totally blindsided by Mother Nature. At first it started off maturing normally at the temples, and I'm cool with that, I think certain hairstyles look badass with a slight widows peak/forelock. But then I started getting diffuse miniaturization across my frontal third. At that point I was all "Hell no Mother Nature, no take backs!" So I researched for about 7 Months and I finally joined forces with Dr. Feller to help bolster my retreating troops. The Op itself was pretty easy, the anticipation and waiting was the worst part. Maybe it's just me, and I don't think I'm particularly tough, but I've honestly had worse pain from dentists doing a routine filling. And even then I usually just power through it. Anyway, the staff was friendly and talkative, and Feller walked me through what steps he was taking during the process (the cauterization laser is cool), except for when he got in the zone to make all the recipient incisions/slits. Like I said before, the process as my tiny little hair buddies were dropped into their comfy head holes wasn't painful, but the waiting game was! Anyhoo, after lunch from a local deli and my post-op briefing I was set to go! On the drive home, the local anesthesia wore off and my forehead felt like I had crazy sunburn, but that was the worst of it. Sure the staples were kinda uncomfortable, but that's to be expected when you have metal keeping your skin from flapping around. I slept sitting up right, popped the Vicodin and went to work the next day. Overall it's been a great Adventure, and I'm comfortable with the idea of doing it again in the future. Now what most people are probably waiting for: PICTURES! Pre-Op Post-Op: Day 1 Post-Op: 2 Months There are more pics in my photo-album with descriptions and whatnot! Currently I'm taking Biotin, Strontium/Calcium, Multivitamin, Vitamin E and D2. Also applying 5% Minox spray/liquid before bed. Cheers! This caucasian man had an advance hair loss pattern Norwood 6,complete balding from the frontal toward the back. He had a total of over 8,000 hair grafts transplanted by Dr. John Diep from the frontal toward the back with two sessions of slightly above 4,000 grafts. The hair result is fully dense from the frontal toward the back with natural hairline. For the audience who wanted to see him live on Youtube, please check out these link: http://youtu.be/u6nTVIN1XyA Hair Surgery Amazing Result on Advance Hair Loss Norwood 6 Before & After Diep www.mhtaclinic.com - YouTube Best Hair Transplant Result 1 Yr Before After Surgery On Complete Bald Head Diep www.mhtaclinic.com - YouTube Again, the result is very natural and fully dense. Hi everyone, I am 24 and considering having a HT with Dr. Parsley in Louisville, KY in the upcoming month. I had a HT (1800 grafts) about 4 years ago when I was only 20 with Dr. Katona in Chicago, IL and all I have to show for it is a nasty scar on the back of my head and a huge bill (from what I hear he should have never done a HT at that age). I am wanting to get my old scar removed and get about 1000 grafts with my new procedure with Dr. Parsley. My goal is to have a new scar that is a lot less noticeable and add some thickness to my hairline. I also have major hair loss on my crown but Dr. Parsley said he could only do about 1000 grafts, which is ok with me because I don't want to stretch my skin too much. Also, I have been using propecia and rogaine since I was 20. Can anyone give me any feedback about Dr. Parsley? Thanks!